Two parking notices, one from the gorgeous Hemel High Street the other, Berkhamsted. As you will see, they differ rather more than is easily understood. 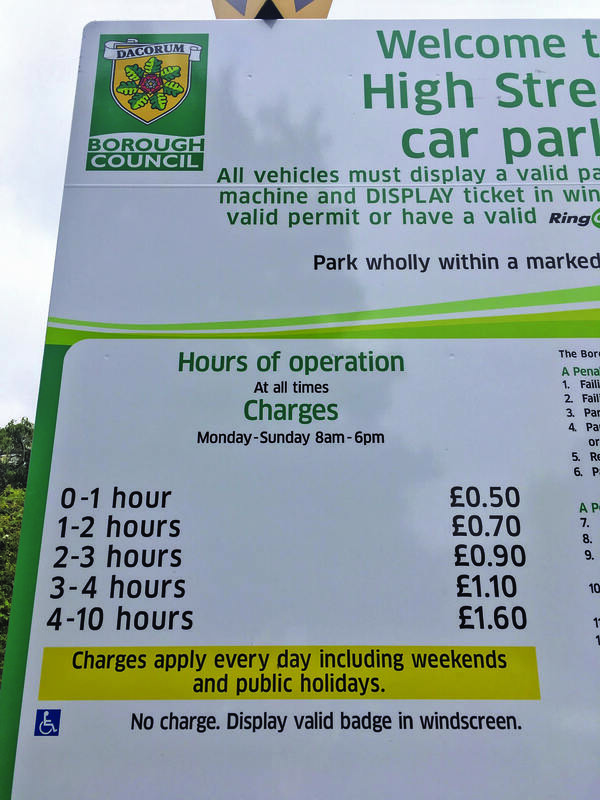 They look like fees plucked from the air, or worse, from some sub-committee’s imaginings; Berkhamsted can afford to pay more for the same privilege of leaving your car safely between two white lines while you go wandering, shopping, meeting, carousing or just to get out of the car and walk for a little. The Rex and Odyssey have had to look into tickets and drinks prices in the light of the new business rates, increased supply costs introduced in April, and new staffing costs to begin in September. Before deciding a fair and modest increase, we researched bars and box offices, taking into account how much we needed to run successfully with average tickets and drinks prices across the board. We were astounded at each. Ours remain under in both pub/bar and cinema. We could almost boast “Never Knowingly Undersold’ but someone beat us to it. We never knowingly understand a word anyway, even though there are only three. Expensive PR weasels, every one, meaningless. At the risk of preaching, we remain committed to fairness and thrive. I have enjoyed unsolicited advice a number of times to put prices up, because ‘People in this area can afford it… People would pay twice as much to come here…’ Fortunately I rarely listen to advice. To “know the price of everything and the value of none” as Oscar Fingal O’Flahertie Wills Wilde put it, has been my maxim since I was 28. Now at the risk of being smug, from Oscar’s few words, we are all enjoying good years at both houses. Jesus, Mary & St Joseph… that is smug indeed. 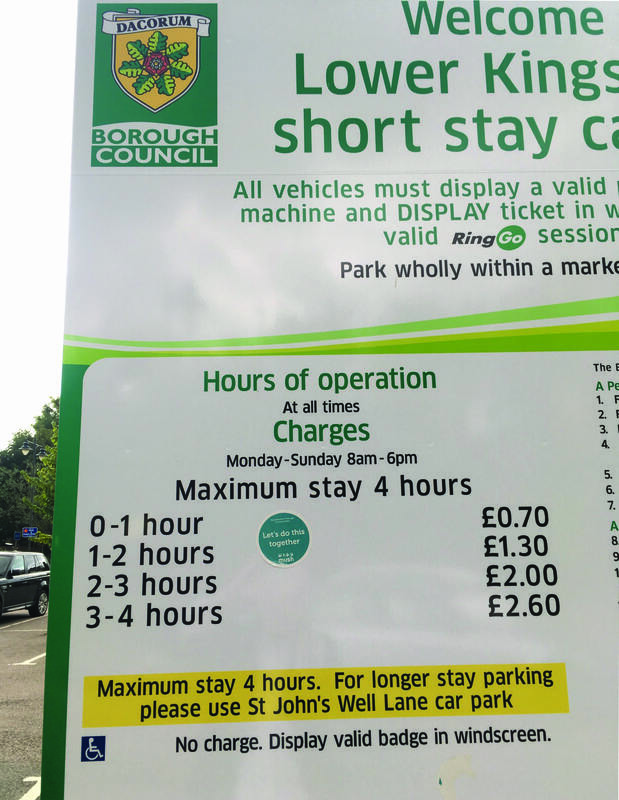 Nevertheless, the question arising from this smugness, is how did Dacorum Borough Council decree our mutual car parks should be at different charges. Discuss or not? Ps… Very sorry Hemel, if this goes the wrong way and they put you up, rather than bring Berko down.